I just got this great lemon press from EverKitchen! 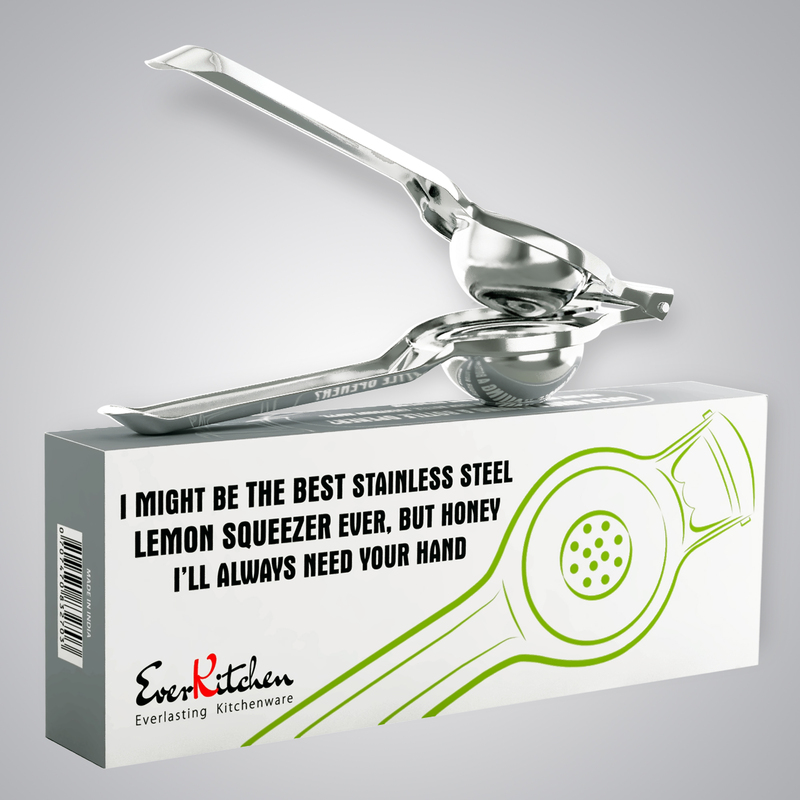 The EverKitchen lemon press is made from stainless steel. It’s a beautiful design and made from high quality products to last a long time. I love to put lemon in my water as well as make fresh lemonade so I love this lemon press. It’s very easy to use, just open it up, pop the lemon inside the press face down, and then push the handle down to squeeze out the lemon juice to the last drop! I also love that it has a bottle opener right on the lemon press so it has a dual function. This has become one of my favorite tools in the kitchen here lately. I use it just about everyday to add some lemon to my water. Since I have been working on making good healthy choices, drinking water has become a large part of that. This tools is really handy to add some fresh lemon to my water to give it some flavor in a fresh and healthy way! 2 in 1 Lemon Squeezer with a built in Bottle Opener. It is designed to squeezer any medium size Lemon and Lime very easily Pulp and Seeds free. You can squeeze right into a glass or dish. Great to prepare your morning lemon water, add some lemon to your tea, beer and to any fish, meat and salad. It is fantastic for cocktails too and the perfect present to kitchen and bar aficionados. The design is very clean and modern and it feels very good to the touch. The product is made of highly polished stainless steel which gives it a very nice look.